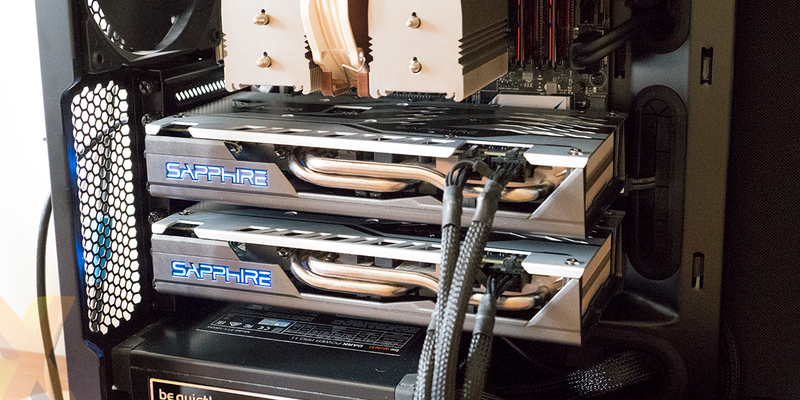 Multiple-GPU configurations are a wonderful idea. Buy a graphics card today and, when it starts to show its age further down the line, pick up a second on the cheap and double your performance potential. Or heck, if you're feeling particularly flush, bag a couple of GeForce GTX 1080 Tis for some ultra-high-end thrills. There's no shortage of ATX motherboards supporting CrossFire or SLI, even a modest PSU can cope with the demands of today's increasingly efficient graphics cards, and with the latest developer APIs there's hope for asymmetric multi-GPU, meaning graphics cards from different vendors may one day work in unison. The theory is sound, yet in practise multi-GPU configurations thus far struggled to live up to their potential. Scaling performance tends to vary from one title to another, Nvidia has dropped SLI support from a number of its latest graphics cards, and with DX12 shifting the onus to developers to optimise for multiple graphics cards, we're left wondering if the days of two-, three- or four-way graphics configurations are numbered. We've often lamented the state of multi-GPU support in modern games, but this is an always-evolving area of the market, and we're intrigued to see how CrossFire holds up today. 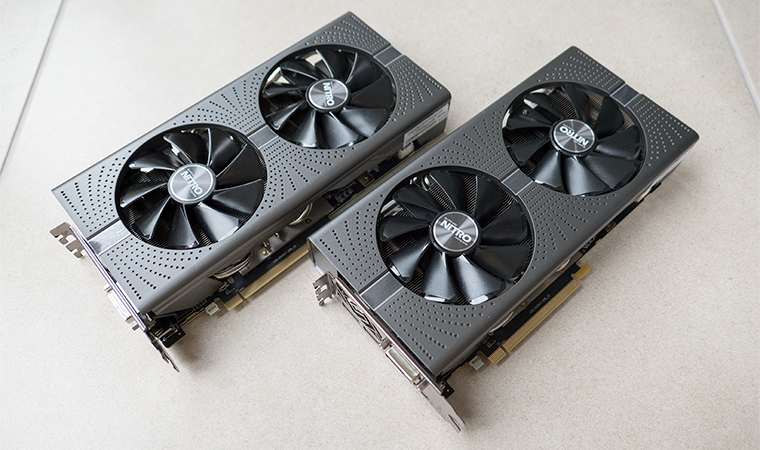 In order to shed some light on the current state of play, we've been able to spend some quality time with a pair of Sapphire Radeon RX 580 Nitro+ Limited Edition graphics cards. Said card was reviewed in singular fashion back in April, where we concluded that "this is RX 480 with a better, more refined skin." Fast forward to today and word on the grapevine is that upcoming AMD Vega may not be as revolutionary as hoped, and indeed, if performance isn't chart-topping, Radeon fans who already own an RX 580 may well consider picking up a second card in the pre-Vega sales. Based on the Polaris architecture and touting the familiar arrangement of 2,304 processors, 144 texture units and 32 ROPs allied to 8GB of GDDR5 memory via a 256-bit bus, the RX 580 is a known quantity. A single card ought to deliver a level of performance similar to that of the GeForce GTX 1060, but strap two together and we wonder if RX 580 CrossFire can disrupt the likes of the GeForce GTX 1080 and GTX 1080 Ti. 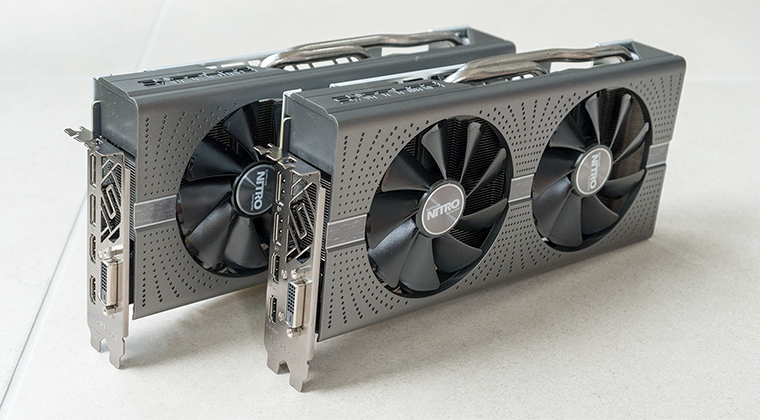 Sapphire's robust design sure looks pretty when two 255mm cards are in formation with no need for a CrossFire bridge, and the Limited Edition models are factory overclocked to 1,450MHz for good measure. Note, however, that these are 185W GPUs, so we'll be watching the noise, temperature and power consumption results with intrigue. Before we get to the benchmarks, we'll start by reaffirming most users' biggest fear: multi-GPU configurations don't always just work. With the second card installed our test platform initially refused to boot into Windows 10, giving us nothing more than a blank screen. In order to get up and running we had to revert to one card, remove the AMD driver, re-install the second card and then re-load the driver. All fun and games, but perhaps a good indicator as to why CrossFire and SLI have never taken the mainstream by storm. The second proviso is that Radeon RX 580 isn't easy to find. It is logical to assume that AMD didn't produce a great number of GPUs to begin with - this was merely a stopgap until Vega arrives - but stock availability is compounded by RX 580 being a sought-after card among the crypto-mining crowd. Most models are stuck on pre-order, so don't expect any genuine bargains just yet. With that out of the way, let's now take a look at how CrossFire fares with real-world games in mid-2017.